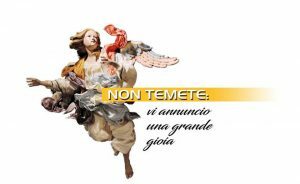 In harmony with the synodal journey, lived as a Church, we, the members of the General Governments, believe that “today too God speaks to the Church and to the world through the creativity and commitment of young people, as well as through their sufferings and appeals for help. With them, we can read our era more prophetically and recognize the signs of the times; this is why young people are one of the “theological places” in which the Lord makes known to us some of his expectations and challenges for building tomorrow” (Final Document, n. 64). From 8-10 January 2019, we embarked on a surprising journey. We approached the young so as to let ourselves be “infected” by their joy, hope, enthusiasm, concerns and desire to change the world. As in a new Pentecost, we experienced this process, which comes about gradually, first of all by listening to the diverse realities young people are living. And like the disciples on the way to Emmaus, our eyes opened little by little to a fascinating world, in many ways unknown and disturbing. 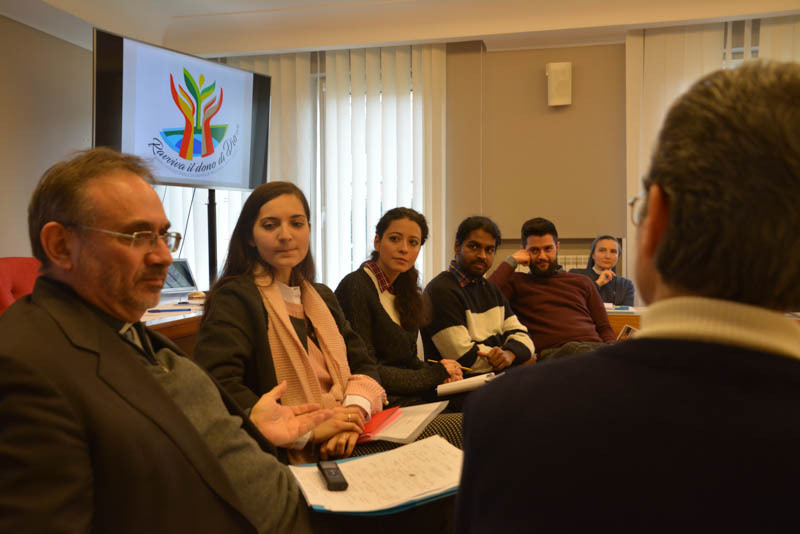 The first step was listening to the testimonies of two of the participants in the Synod of Bishops on Young People. Fr. 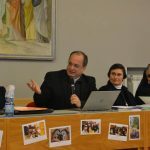 Rossano Sala, sdb, Special Secretary of the Synod, shared the resonances and provocations that were the fruit of his synodal experience. The first thing to emerge was the importance of silence and listening, which is demanding: “it requires humility, patience and a willingness to understand”that “transforms the hearts of those who experience it” (Final Document, n. 6). 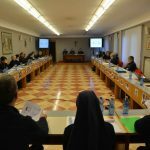 But the true innovation was the concept of “synodality”: a new way of being Church and of walking together as a family in the diversity of its members. A method that helps us build communion, moving from an “office mentality”–received by competency–to a willingness to realize together projects that release energy and creativity. Fr. 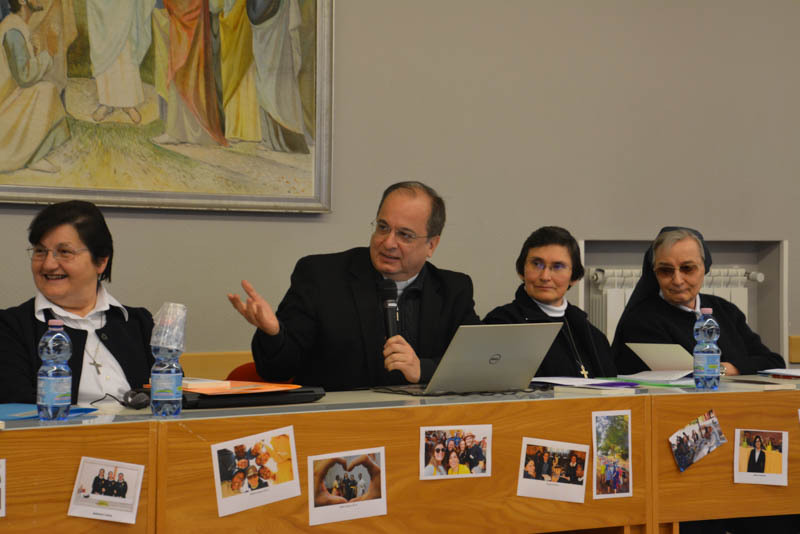 Valdir José De Castro, SSP Superior General, offered us a “Pauline” reading of the Synod. 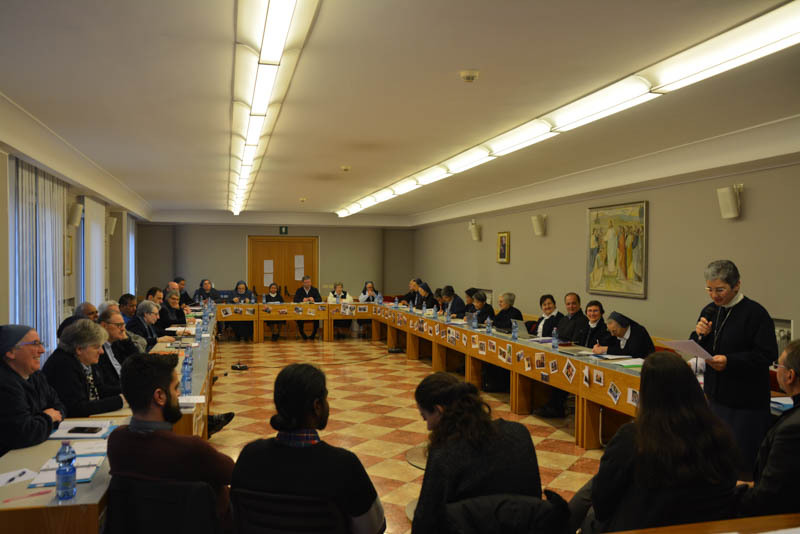 And here we come to the second step: synodality, which helps us to interpret authority as service and to rethink the way we understand and live communication, not only as an instrument but rather as a relationship, communion and an anthropological experience. 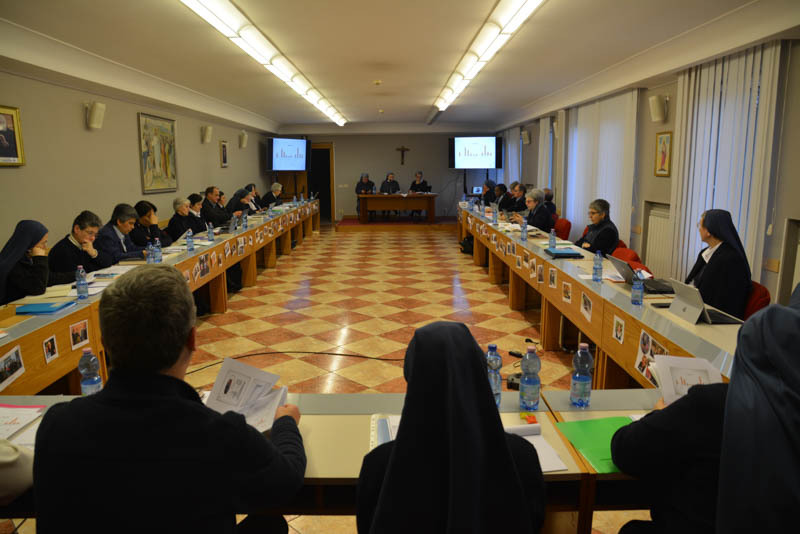 Among the provocations offered the Pauline Family, we welcome the need to walk with young people, work in teams, improve the man-woman relationship, and reinforce accompaniment and formation under the sign of the different characteristics of Pauline formation. The third step led us to an environment typical of the world of youth: the Internet. 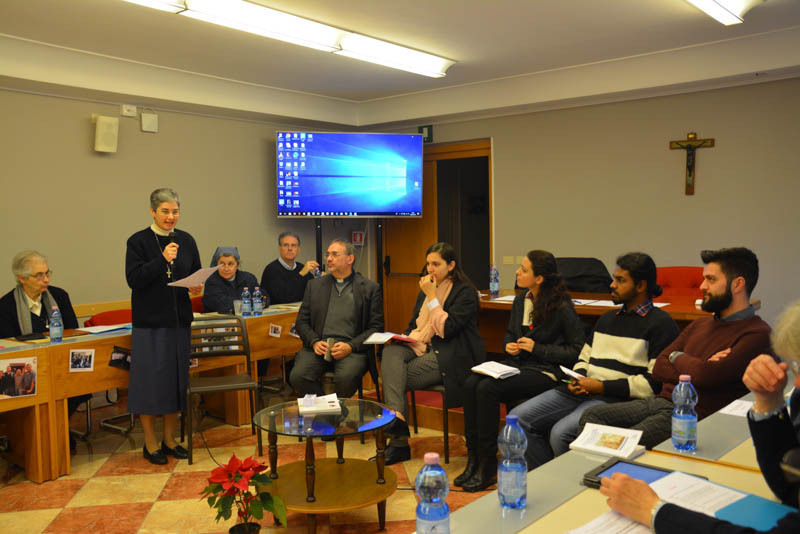 Sr. Mariangela Tassielli, fsp, gave us a glimpse of this “parallel” environment, inhabited by teenagers and young adults. Many aspects of it are unknown to us. We do not speak their language. In general, our approach is inadequate and our apostolic proposals do not capture their interest. It is urgent to change, listen and walk together. This gave rise to a courageous invitation: do not be afraid of young people, their protagonism, abilities, differences and creativity. Let us learn to approach young people with humility so as to get to know them and inhabit this new space and time, which is also waiting for the Good News of the Kingdom. Our next step took us on a “virtual trip” to a multi-cultural and multi-religious context in a suburb of Paris, France. By means of the film“Les Héritiers” by Marie-Castille Mention-Schaar, we caught a glimpse of the restless face of youth: a group of forgotten teenagers, immersed in a series of problems, children of a society in crisis. A group, however, full of creativity and hope, able to transform itself the moment an authoritative adult helps them discover the ideal keys needed to motivate them. 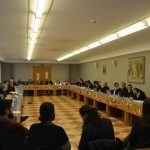 Our journey continued in the form of a round table discussion coordinated by Fr. 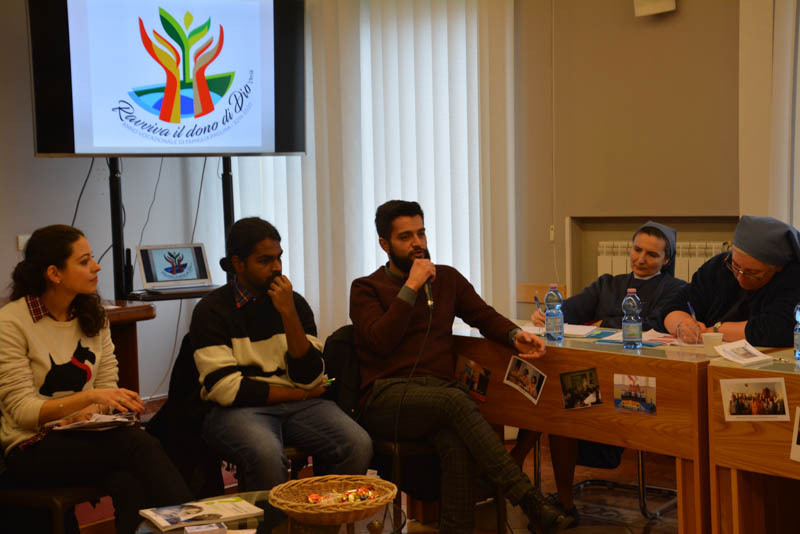 Andrea Lonardo, who hosted four university students from different religious and cultural contexts. Young people full of curiosity and worries, searching for the profound meaning of life. Pursuing different paths to faith, but sharing ideals and expectations. Young people who dream of a better world. They questioned us about who we are and “who we are for,” about our way of witnessing to the innovations of the Gospel, about the signs we are leaving behind us to help them on their way to adulthood. 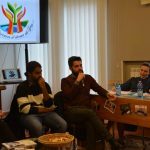 This direct contact with young people was complemented by the voices and faces of our young men and women in initial formation throughout the world. 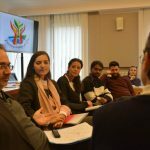 By means of a video and the presentation of the results of a questionnaire addressed to our Juniors and to young people close to our communities, we listened to the new Pauline generations. 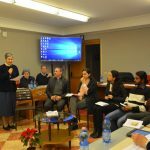 Tapping into their minds and hearts, we grasped above all their desire to make a constructive contribution to the Pauline mission in the world. This fills us with joy and hope. 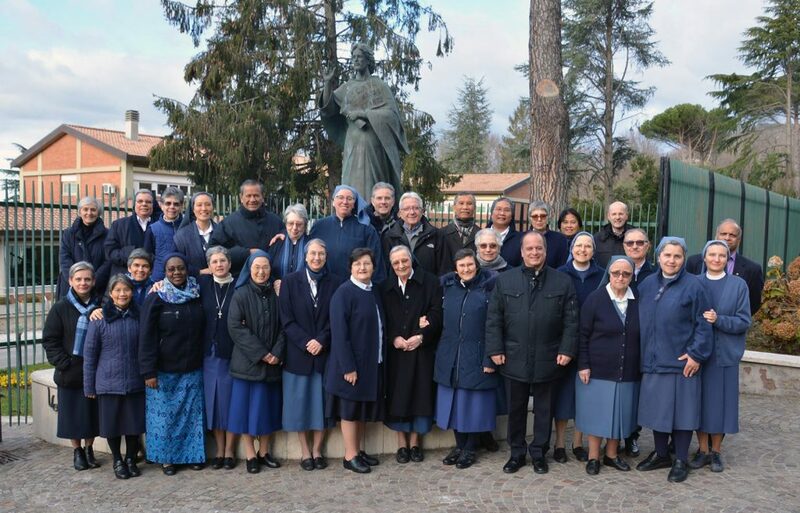 It manifests the “overflowing wealth” of our Family: experiences of fraternal life, witness, sense of belonging, cultural diversity, motivations, etc.–riches that will be deepened in different forms and places during our Vocation Year. To them we say: Thank you for your constructive contribution to our annual meeting! We reaffirm that young people are truly a “theological place” and that they help us scrutinize God under new perspectives. We feel the need to encourage our communities to welcome and listen to young people more and more. 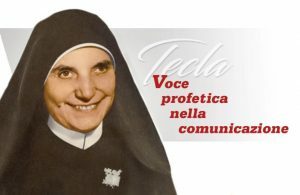 To interact with them and enter into their situations because “all young people, without exception, are in the heart of God and therefore also in the heart of the Church” (Final Document, n. 117). The year that has just begun is an opportunity to establish a renewed vocational culture in our communities (cf. Final Document, n. 80) according to the indications set forth in the Letter of the Superiors General dated 20 August 2018. In harmony with the Centenary of the Pact, we are invited to adopt the Secret of Success, in all its depth and fecundity, as the official prayer of our Vocation Year. To each and every one of you our affectionate best wishes in Christ the Master.